Posted on December 19, 2015 by nathanlostlighthouse	in Video Games and tagged Abe's Exoddus, Abe's Oddysee, Chrono Trigger, Eidos Interactive, Final Fantasy 7, Final Fantasy VII, Final Fantasy VII remake, gaming, HD remake, Hideo Kojima, Konami, Legacy of Kain: Soul Reaver, Metal Gear Solid, Oddworld, Oddworld: Stanger's Wrath, remakes, remaster, Return to Castle Wolfenstein, Square Enix, video game remakes, video games. Seeing as 2015 will probably be seen as the year of the remake, with so many films and games being reproduced with younger actors (in some cases better actors) and older games going through an HD makeover. However, I do feel some brilliant games from the past are being left behind. Here is a list of games I believe need a HD remake. I have not included any games that have a remake coming up such as Pokemon or Final Fantasy 7 because they would be in the list otherwise. Technically this is a remake of the granddad of first person shooters (sort of), however it makes the list because it is truly a fantastic FPS. You start off escaping a castle and helping the resistance fight against the Nazi’s but throw in some Nazi occult factions, zombies and genetically made super soldiers, you have some absolutely fantastic and hilarious battles on your hand. There are also 2 stealth missions too, and proper stealth missions. If the alarm is raised then it is game over. The multiplayer was also brilliant, you could choose to be a commander, medic, engineer or soldier and if you are attacking a base, most of the time you have to blow up an objective whilst the other team defends it. There are also capture the flag options too. This game was a particular favourite of mine, even my dad loved playing it (albeit with cheat codes) and it does need a remake. 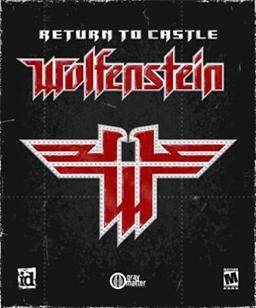 The Wolfenstein games that followed had nothing to do with the original storylines and seem to have gone off on a somewhat weird tangent. Chances of this happening – 2 electric legless mutants out of 10. Probably not going to happen for a few reasons. iD is now owned by Bethesda and they are concentrating on the Doom franchise more than this one, and there have been 2 mediocre games that have followed this one so it is probably unlikely that it will happen. OK now we are getting a bit more serious. 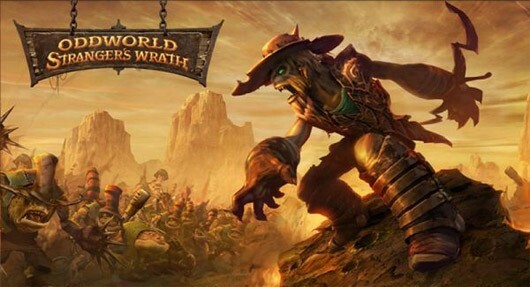 Stranger’s Wrath is an absolute hidden gem from the creators that brought you Abe’s Oddysee and Exoddus, two absolutely fantastic games. Now with Oddysee already getting a remake and apparently Exoddus is in the works (which I will be getting), surely this game deserves it. Set in a Wild West version of Oddworld, Stranger is a bounty hunter who is also trying to uncover his identity. Quite simple really, but the gameplay is absolutely fantastic. A mixture of first person shooter and third person action and adventure. This game did port to mobile devices but I found it too difficult to control. It needs a good old fashioned controller. Chances of this happening – 7 slingshotted bugs out of 10. With other Oddworld games in the making, it is probably very likely, however it is not as popular as the other Oddworld games. Of course this game needs a remake, it would be amazing to play the original storyline again but with a bit more stealth and the first person shooter aspect enabled for it. Everyone has to admit the storyline to this game is epic, as well as the characters introduced. Solid Snake, Liquid Snake, Revolver Ocelot, Sniper Wolf etc. Coupled with some great voice acting and brilliant gameplay, this game is well deserving of a remake. I believe it is better than some of the sequels it spawned too. The likelihood of this happening is about 1 “!” out of 10. Hideo Kojima (producer of the series) seems to be no longer working for Konami and Konami seem to be interviewing for new staff to take over the series. They even barred Hideo from accepting a reward for MGSV at the 2015 Games Awards. Such a shame, but there’s always hope. This game fully deserves a remake, I can’t stress that enough. This is probably the first game I played with amazing voice acting incorporated. Might be a bit difficult to do it now seeing as the guy who voiced the Elder God is dead (same guy who voiced Frolo form Disney’s Hunchback of Notre Dame, don’t ask me how I know that) however the whole point of a remake is to remake it. I imagine we can find a new voice for the Elder God. Regardless of this, as well as quality voice acting, the storyline is brilliant. Vampire who out-evolves his master is cast aside and thrown into a 1000 year oblivion. Then rescued by an Elder God to enact his revenge. What more can you ask for? It is absolutely brilliant, The series intertwines with the Blood Omen series and is finally finished off in Defiance with an absolutely brilliant ending. I have already written a “Why haven’t you played this” review of it. Honestly get yourself a Playstation, get this game and play it. Chances of this happening – 2 dimension shifts out of 10. Made by Eidos Interactive, now defunct but owned by Square Enix Europe and let’s face it, they have more important remakes going on at the moment. I’m putting this as number 1 whether people like it or not. This game deserves a remake and people have been trying. There was even a few fan made remakes created before Square Enix came along with their cease and desist orders and promptly put an end to the production. I’m no business man, but if there are fan games being made, surely there is a demand for the remake. Again this is a game I have reviewed previously, however I’m mentioning it again for a reason: because it is brilliant. Arguably one of the best RPG storylines ever, with a fantastic battle system. Each character having an element assigned to them and also the prospect to combine their abilities in order to unleash some devastating attacks. Chances of this happening – 6 time travel gurus out of 10. With Square Enix taking so long to create a Final Fantasy 7 remake, I think this game is a long way off it’s remake, but it may only be a matter of time before this graces our screens again.